Difficulty: Beginner (larger sizes) to Intermediate (smaller sizes). 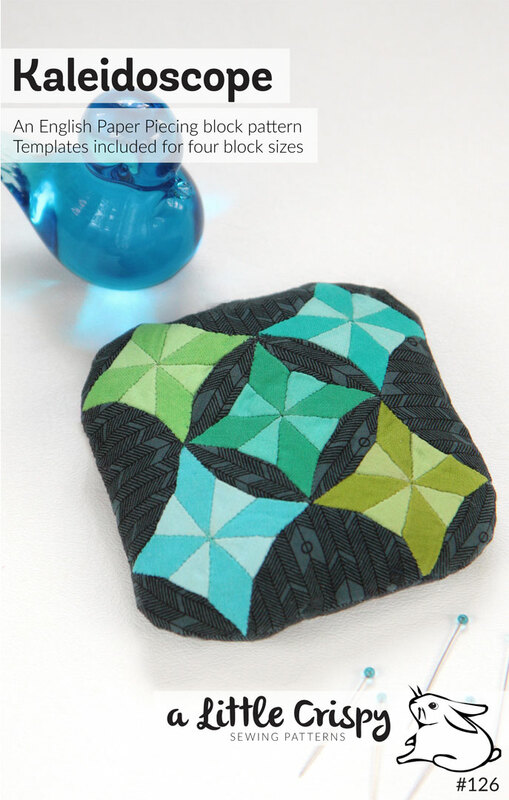 English paper piecing (EPP) is so perfect for those of us that have trouble sitting still with idle hands! It’s very portable, uses very little mental energy, and it’s easy to pull out when you have a spare moment. Think about all the time you spend sitting in meetings, waiting for appointments, watching kids’ activities, riding in the car, buses, trains, or airplanes, or even just vegging out in front of the TV in the evening. I know sometimes I just don’t want to drag out a big project late at night, so I keep a basket of EPP supplies near the couch. 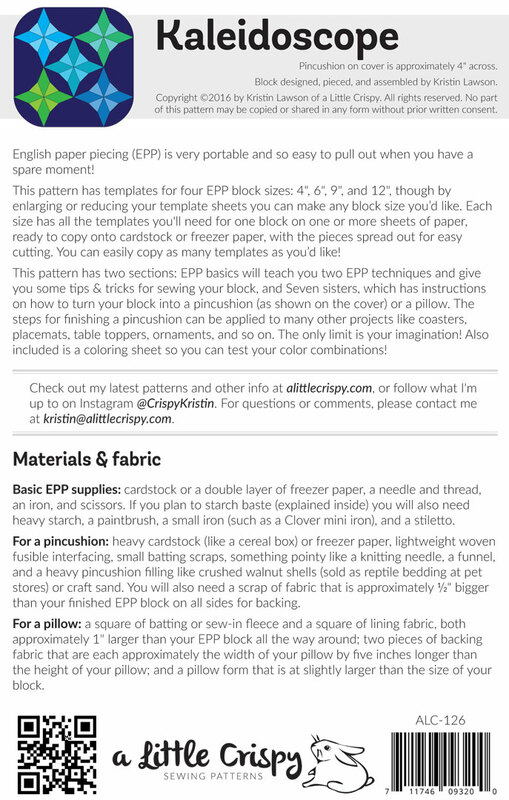 This pattern has templates for four block sizes: 4″, 6″, 9″, and 12″, though by enlarging or reducing your printouts you could make any block size you’d like. Each size has all the pieces you need for one block on one or more sheets of paper, with the pieces spread out for easy cutting. You can easily print out as many templates as you’d like! 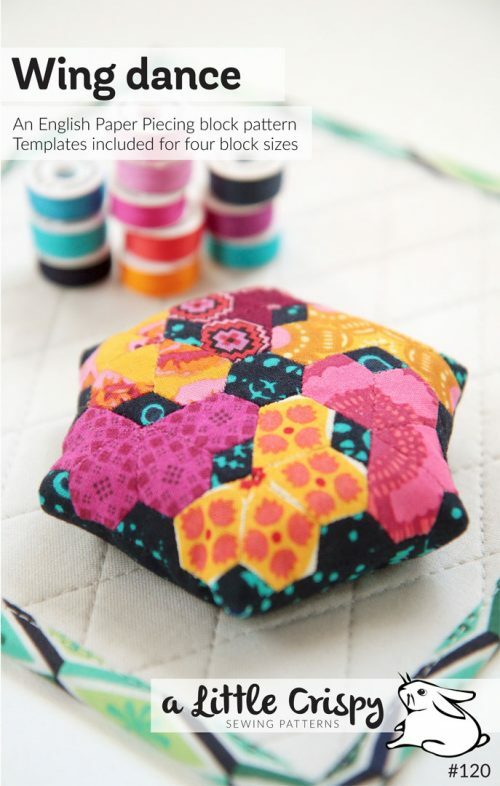 This pattern includes three PDFs: EPP basics will teach you two EPP techniques and gives you some tips & tricks for sewing your block, Kaleidoscope, which has instructions on how to turn your block into a pincushion (as shown on the cover) or a pillow. The third file Kaleidoscope templates has all of your templates. Print as many copies as you like! Also part of the pattern is a coloring sheet so you can test your color combinations! The cover block is 4″ high. 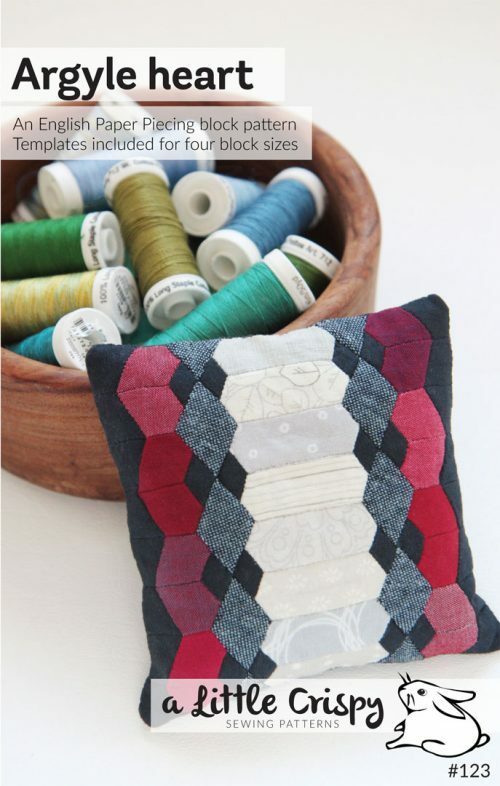 Finished block sizes (approximate): 4″, 6″, 9″, and 12″. You can also make any other size simply by enlarging or reducing the included template pieces.